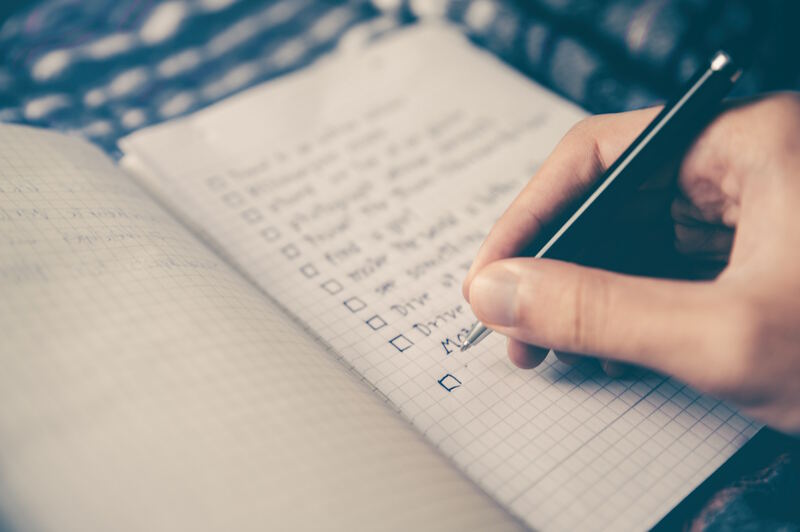 Saying “yes” to everything in your personal and professional life may feel normal — after all, checking items off your to-do list is downright satisfying. But at what point do you burn out? If you’re too overworked to do simple, everyday tasks, there’s an underlying issue that needs to be addressed. To better understand the danger of busyness, we spoke with three mental health experts about how saying “no” can drastically improve your overall well-being. Living in a success-driven society has its advantages. But it also has disadvantages, like burnout, which is a real concern when you’re trying to have it all: a fulfilling career, an Instagram-worthy time with friends, and a happy family life. When you fail to make time for personal TLC, your relationships and health take a hit. “People who are overcommitted have a shorter fuse and are more prone to being emotionally reactive,” says Megan Gunnell, licensed master social worker and psychotherapist. Intense pressure and stress also have negative effects on the body, including compromising the immune system, difficulty sleeping, racing thoughts, racing heart rate, muscle tension, nausea, or extreme fatigue, according to Gunnell. “Most of us are worried about falling behind, and having the added pressure of making up for lost time. Ultimately, when we rest and rejuvenate our brains and bodies, we will sustain ourselves and perform better,” says Dr. Kristen Lee, behavioral science faculty member at Northeastern University, clinician and author of Reset: Make the Most of Your Stress. But how do you combat being overwhelmed by busyness? First things first, acknowledge that this stressful lifestyle isn’t cutting it. Then, eliminate a couple of items from your to-do list. “Ask yourself, ‘Will this be value added?’ or ‘Is this a deposit or a withdrawal?’” suggests Gunnell. This questioning shouldn’t be solely based on the task at hand, but also the internal pressure we feel to complete a given task, says Gunnell. Saying “no” can be tough, so start with just one task if you’re feeling overwhelmed. “If we can begin to practice downshifting into a slower pace, giving ourselves permission to let some things go and be more in the moment or a state of mindful awareness, we will experience a greater sense of peace and calm overall,” notes Gunnell. It’s worth noting that being busy isn’t inherently bad, and it looks different for everyone, according to Rachel Dubrow, a licensed clinical social worker and psychotherapist. “Some people see being busy as a way of living life, with a glass half-full perspective, and want to take advantage of opportunities that come their way,” says Dubrow. It’s all about perspective and balance. Saying “no” brings much-needed balance into your life. There’s a reason work-life balance is the buzzword du jour — it gives your body and mind the break they need to thrive. “Happiness walks on balanced feet, not busy ones,” says Dubrow. But what exactly is the balance we’re all striving for? “Balance is being able to make accommodations and changes when needed so that you can still focus on the good and dwell less on the bad,” says Dubrow. Achieving balance is easier said than done. Gunnell suggests incorporating one simple question into your daily routine to achieve a little more balance: What do I need? “When you find yourself with an hour to spare, ask yourself this question. Maybe it’s saying ‘no’ to running that errand or answering five more emails. Or maybe it’s ‘yes’ to your body and a sense of self-care.” But if you still feel like you can’t cope with the stress and notice physical symptoms, seek help from loved ones and trained professionals. Stress and chaos are inevitable. There will be moments that are more hectic than others, and that’s OK. During these times, the greatest gift you can give yourself is self-awareness. “When we invest in ourselves and our health, it sustains us through long and hectic days,” says Dr. Lee.